Change your Health and Wellness. Eat Clean Health is thrilled to announce the launch of Kumu Wellness! 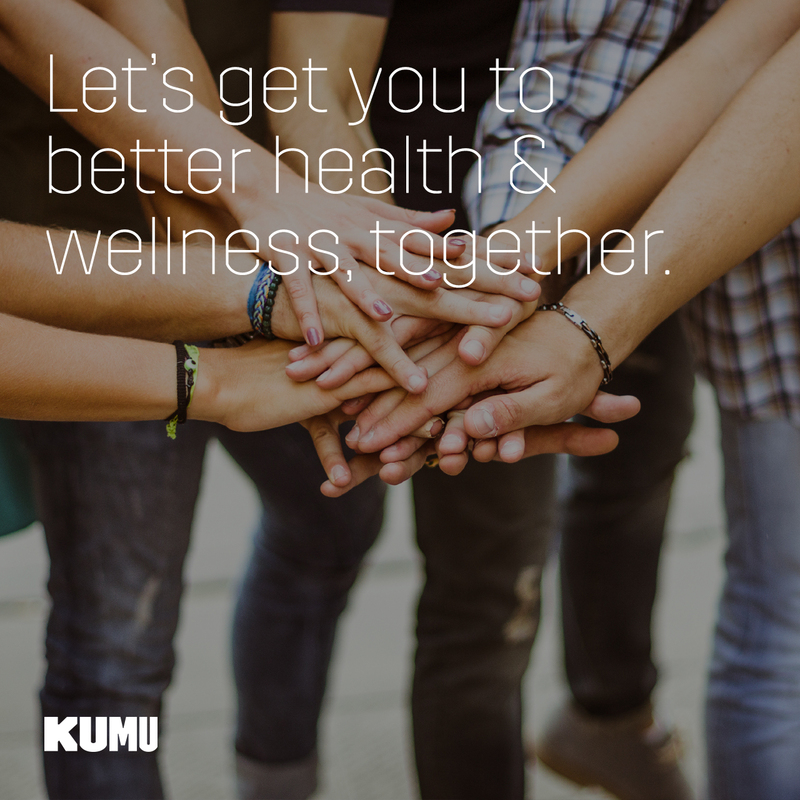 Kumu is a health and wellness app that matches clients with coaches to help them achieve their individual health goals! Kumu is great for anyone looking to lose weight, increase their energy, get in shape or learn to eat better. If you’re interested in working with your own personal wellness coach, you can sign up completely free at getkumu.com! Kumu works by matching clients up with real Coaches (like me!) to help clients accomplish their health, welllness and fitness goals. Clients are able to text, send photos, and video chat with their coaches, whenever they need to, plus it’s made to be affordable and flexible so it works no matter what your schedule looks like. Aside from being able to have unparalleled access to your Coach, the Kumu app has some awesome tools to keep track of your progress. There’s the Kumu Activity Feed that shows you how long you’ve been active each day, and how you’re doing on your goals with your Coach. To give you extra motivation and support, there’s the Kumu Team Stream where you can interact with teammates and give High Fives on a job well done! If you’re interested in getting started with Kumu, all you need to do is register for free at getkumu.com and you’ll be ready to meet your Coach when we go-live next week! Categories: Fitness, Health and Wellness, Holistic Health, Inspiration and Motivation, Nutrition, Preventative Health | Tags: eat clean heath, health and wellness app, healthy lifestyle, how to create a healthy lifestyle, how to work with a wellness coach, jodi geigle, kumu, kumu wellness, wellness coach, what is kumu wellness | Permalink.